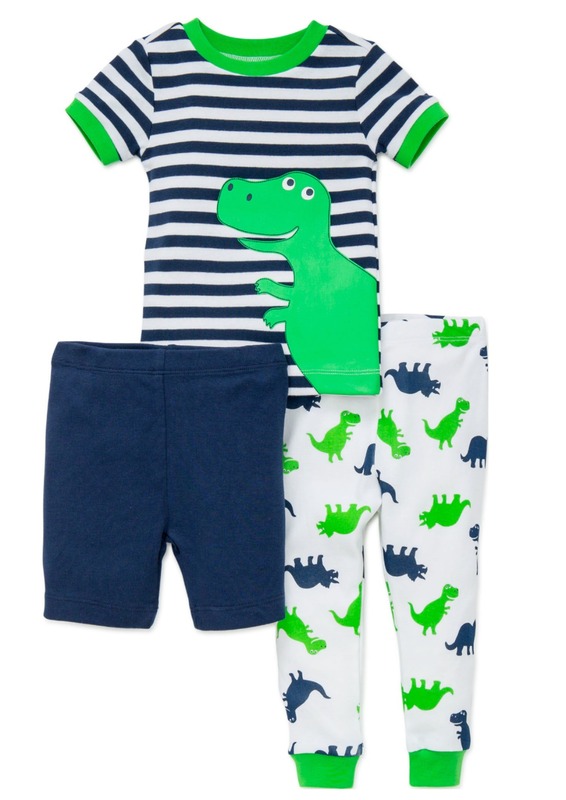 Infant or Toddler Boys Spring Summer Pajama set in soft cotton feature dinosaur pajama shirt, pajama shorts and matching pants. The 3 pc set all in cotton. Machine wash.